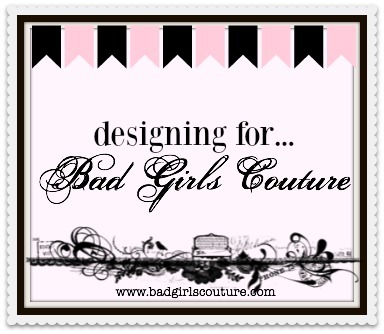 I'm here today to share some of the work that I have busily been creating. I promise I have been, I have so much to share! 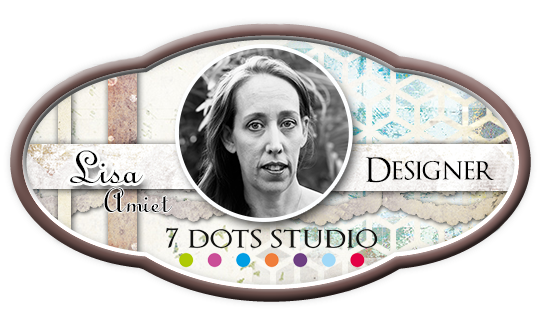 So, for part of my DT Pack from Anna's I received the new Kaisercraft Ubud Dreams Collection. When I first saw this collection I fell in love. 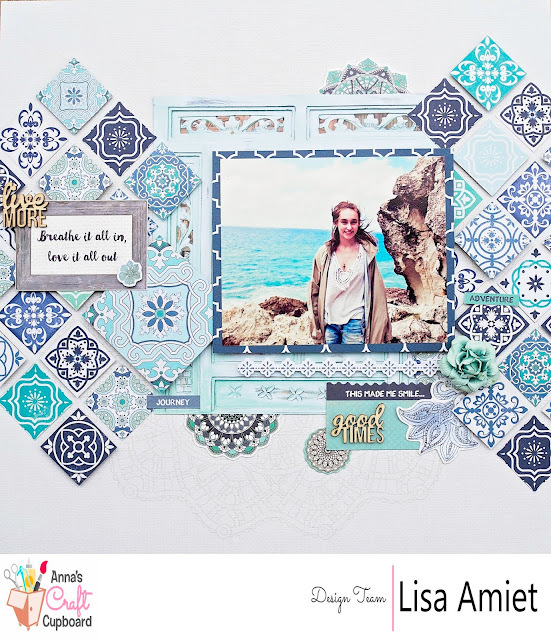 It's full of gorgeous paper designs and mandalas. My eyes were instantly drawn to the mosaic tile design paper, I knew what I wanted to try and do. Lots of dimension and different heights in this layout. A pic of my daughter on a trip to North Stradbroke Island. Good day!! I hope you are all well. 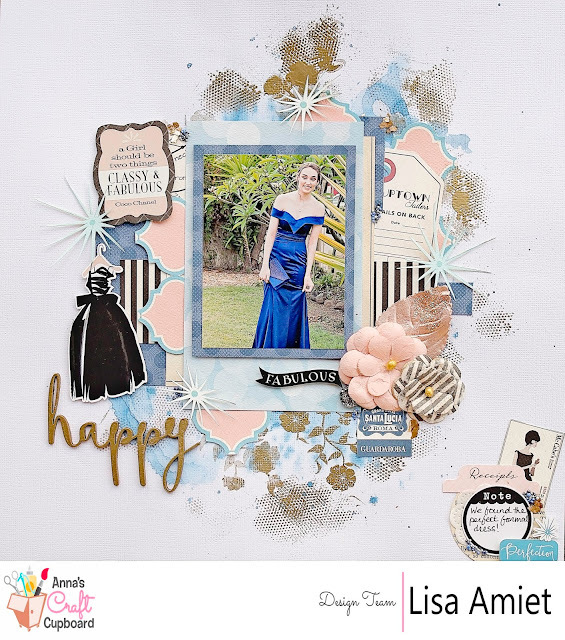 I'm here to share my second layout completed with this month's DT Pack using Carta Bella Metropolitan Girl Collection. I won't go into details of how I have done this layout as pictures are better than a thousand words :) and I have a process video. It's only the second one I have made one so please be gentle as I find my way around a craft desk with a camera :) Its a bit more awkward than I thought! Alot of times I have no idea of what I'm planning when I start so you get to see the whole process as a layout comes together. I hope you enjoy it! For this layout I have used Carta Bella Metropolitan Girl Papers, Element Sticker Sheet, Ephemera and Enamel Dots. I have also used some Cocoa Vanilla wood veneer shapes, Prima flowers and glitter leaves (I'm telling you I'm obsessed with these). 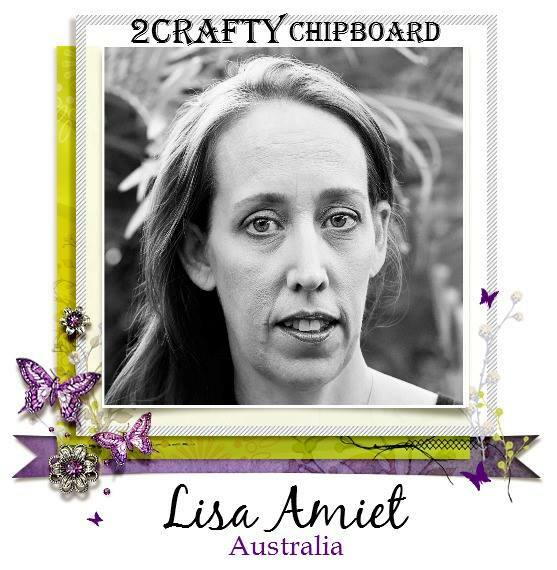 For this month's DT pack from Anna's Craft Cupboard I got to work with Carta Bella Metropolitan Girl Collection. there couldn't be better papers for formal dress photos! So on that note I have created "Happy"
such as the tags I have used and it just comes together so well. Good morning all! Can you believe that it is December already. I watched it coming and it has still managed to sneak up on me. It has triangles! I was so excited when I saw the sketch, couldn't wait to get started. We would love to see your entry! You'd be in with a chance to win a $50 shopping spree with free postage! Just to make things extra special, we are having challenges every weekend this month over in our Facebook Community with some awesome prizes up for grabs! so I'll see you there then!